The founder of file-sharing website MegaUpload, Kim Dotcom, was released on bail in New Zealand today after the court was satisfied the police had seized his personal fortune in order to ensure he did not flee the country. He has been in custody since his arrest on January 19, and was initially denied bail due to being considered a serious flight risk. As he left the Auckland court, he spoke to reporters briefly saying "I am relieved to go home to see my family, my three little kids and my pregnant wife. [..] And I hope you understand that that is all I want to say right now." North Shore District Court Judge Nevin Dawson released him after making sure the MegaUpload founder had all assets of monetary value seized and being convinced he wasn’t hiding any money or assets that could help him flee. The Judge pointed out that the previous refusal for bail and rejection of the subsequent appeal were made when the exact assets and financial position of Dotcom was unknown. "Since that time, all known assets have been seized and are unavailable for Mr. Dotcom's use or disposal," the judge said. "No new assets or accounts of any significance have been revealed since his arrest. Mr. Dotcom's submission that he has not concealed any assets or bank accounts has largely been borne out." 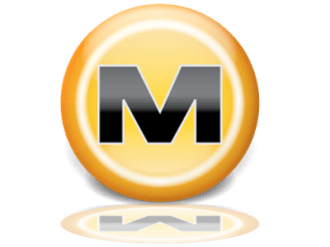 Supporting Dotcom’s claims was an affidavit from Bonnie Lam, the Hong Kong MegaUpload chief financial officer that supported the founder’s claims that he has no resources of value available to him. When asked how he felt he had been treated since his arrest, he responded, "it felt a little bit like an audition to American Idol." Dotcom and several co-workers are currently facing extradition to the US on charges of conspiring to commit racketeering and copyright infringement. Interestingly, the extradition hearing was scheduled to start today, but US officials have yet to even file the paperwork with the court, a spokesperson for the US Attorney’s Office for the Eastern District of Virginia claimed when speaking to CNet. The US has until March 2 to file or Dotcom is likely to walk free. Representatives for the US Attorney’s Office have declined to comment on the court's decision.